Ranveer Singh, Sara Ali Khan's Simmba trailer is trending on youTube. Crosses over 8 million views. The makers of Simmba, featuring Ranveer Singh and Sara Ali Khan, dropped an official trailer today. The 2-minute 54-second trailer has all the makings of a blockbuster – it has high-octane action sequences, whistle-worthy dialogues and a cute love story brewing amid all of this. The film is directed by Rohit Shetty and produced by Rohit and Karan Johar. The Trailer has been launched on Reliance Entertainment YouTube account and in just seven hours it has garnered over 8 million views. The action drama is a remake of Telugu blockbuster Temper. Simmba also stars Sonu Sood and Ashutosh Rana in important roles. However, the one who takes away the limelight is the real Singham ‘Ajay Devgn’. In the trailer, we see Ranveer doing more of a comedy than action. Ranveer and Rohit’s fans are going gaga over the trailer on social media. The platform is filled with praiseworthy reactions. 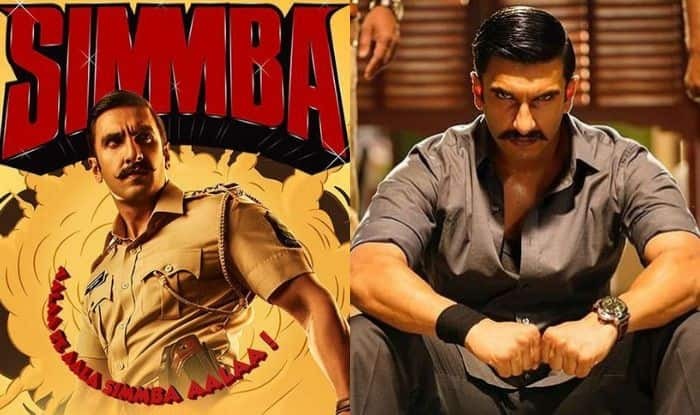 Simmba marks the first collaboration between Ranveer Singh and Rohit Shetty and is jointly produced by Dharma Productions and Rohit Shetty Picturez. It is all set to hit the screens on December 28. The film will semi-clash with Aanand L Rai’s Zero as it is slated to release on December 21.